SHOULD WE LIMIT OUR MBO REQUESTS? FIRST CONTACT: Adrian wrote: "Very good book, it gives you a complete explanation of how ET beings live, who we are, etc." 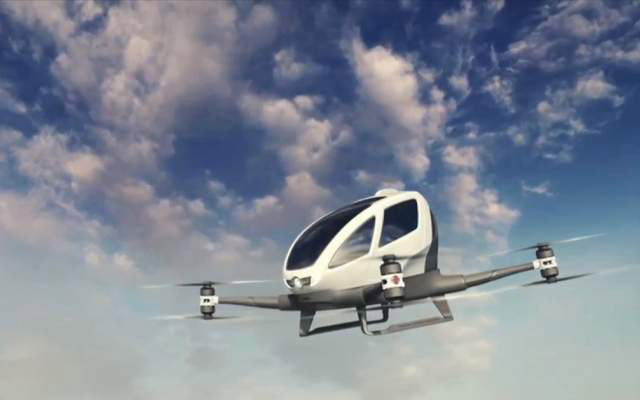 It was just announced this week that the Dallas area will have the first Uber Air Taxis, which will be manufactured by Bell Helicopter. Click here for the short CBS video news story. Gaia, the Dallas area is scheduled to be the first area for Uber Taxis, manufactured by Bell Helicopter. 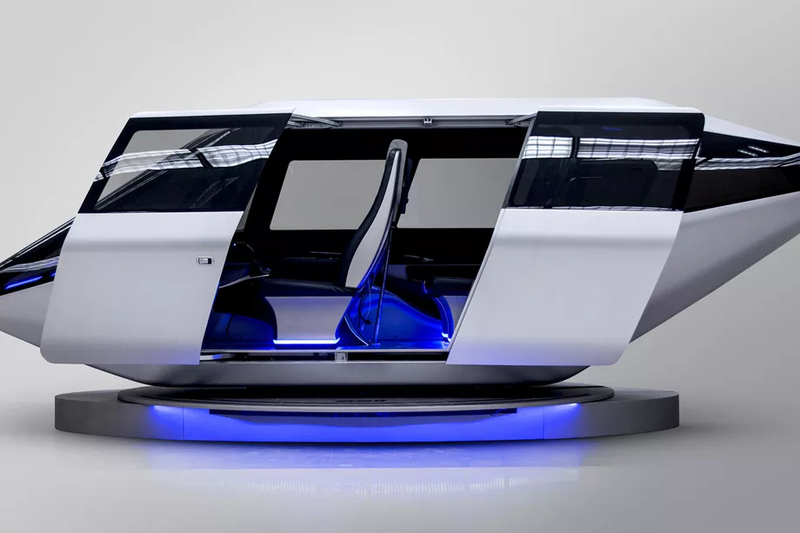 Will this become popular, and if so how fast will the use of these air taxis spread? It will become highly popular, Tom, especially in cities where the highways and streets are already clogged with too many vehicles. Naturally, only those that can afford the equivalent of a premium taxi ride each day will take it, but a large number of people will take the taxis for specific purposes as the demand heats up. Their plans to have them pilotless will take a little long for acceptance, but there are great strides being made in that area too. You will see hundreds of these ships whizzing above before too many years, Tom. There will be landing spots on parking lots and then eventually they will land in the street in front of houses. That will come sooner rather than later as the trust for these vehicles spreads. I assume free energy machines will power these vehicles in the future? Yes, that will come about, but not for about 10 years, Tom. Not so long though, I’m sure you will agree. Gaia, why are the U.S. State Department employees in China reporting similar problems as those in Cuba? Are the Chinese behind it or perhaps the Russians again? Yes, to both questions, Tom. 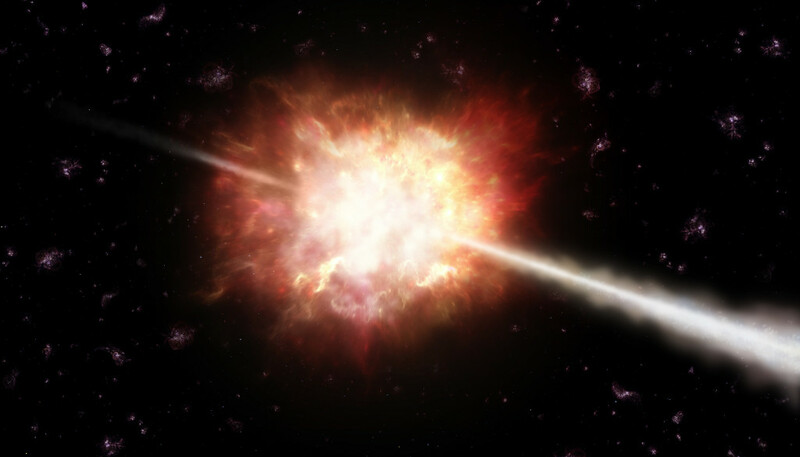 It is a new weapon that both are testing, with the United States not too far behind. It can be easily transported, as it is not so large. How do the operators protect themselves? Yes, there are special head devices—you would call them helmets—that protect them. They will soon detect the frequency and will track down the locations by homing in on the beacons. 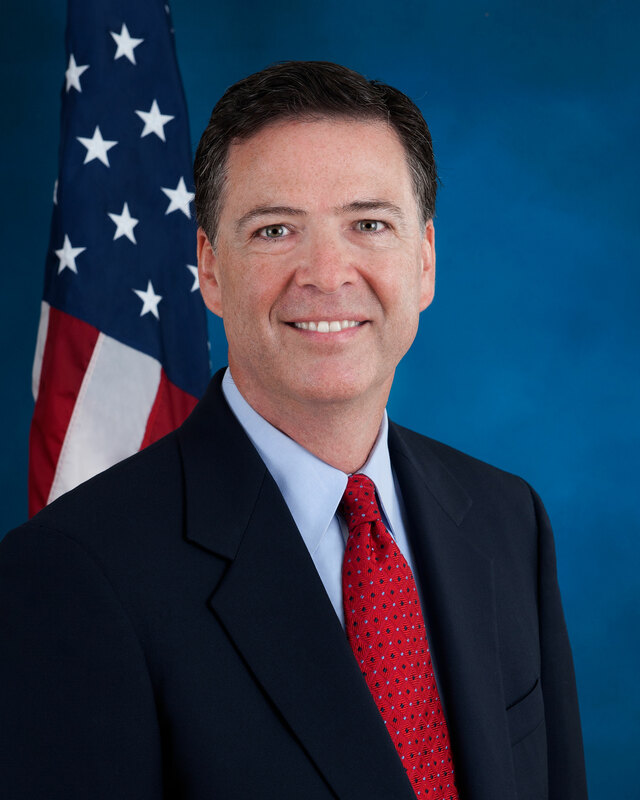 Gloria writes: I just caught the end of a segment on TV with James Comey. Checking your newsletters, I didn't find anything on him. What is his part in this craziness in our government at this time? Good guy, bad guy? Once again, thank you for the amazing work you do!!! Theo, what is James Comey’s soul contract this time around and what is his probable future? Yes, a complicated soul contract, you could say. He is a medium soul, second quadrant, so he still has much to learn, but is an older soul than your President Trump. He will continue to be a public figure for quite some time into the future. Will he seek public office? No, but a good question. He will still be involved in the government, or associations that are involved in government. He is respected by his peers, and certainly those who do not care for Mr. Trump. Yet, he has angered both sides, and that is part of his learning this time around—how to be completely neutral. His main income for some time will be speaking fees and one or more books. Needless to say, he will not be part of the administration or government as long as Trump is in office. Alannah writes: I read my first book of yours a few months ago, and have since continued diligently to follow your guidance. Throughout life, I have been very aware of my GAs, and know they have helped me on numerous occasions, prior to my knowledge of MBOs. 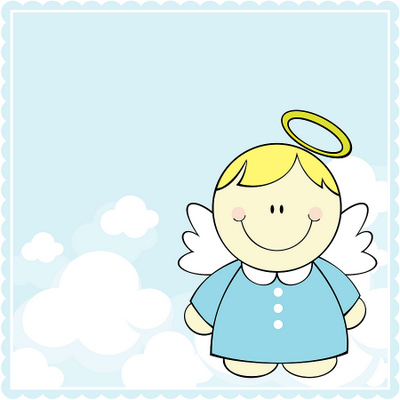 I knew one of my angels to be named Camille; she told me her name about three years ago when I went through the death of my mother. 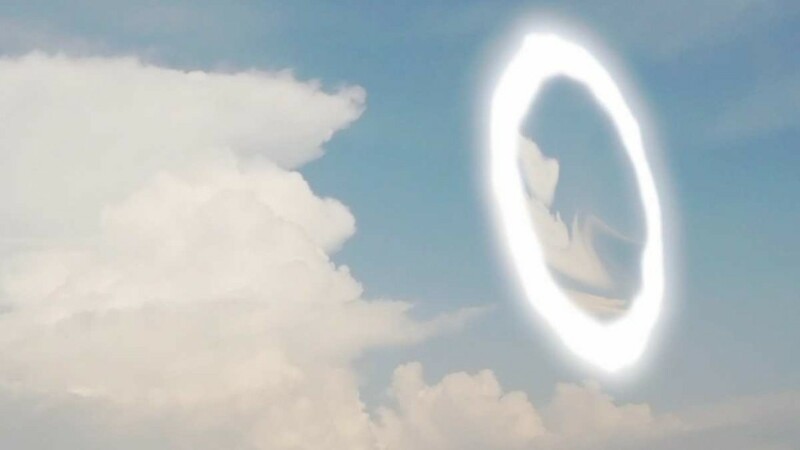 Since I have begun meditation through your assistance, I am able to see Camille in my mind's eye, and connect with my primary angel, Evan. I asked for an MBO for dream learning, and an MBO to assist me on the path to enlightenment. Since then, I have seen Evan in a dream, where we conversed and he warned me before I was suddenly awakened. It was absolutely amazing! 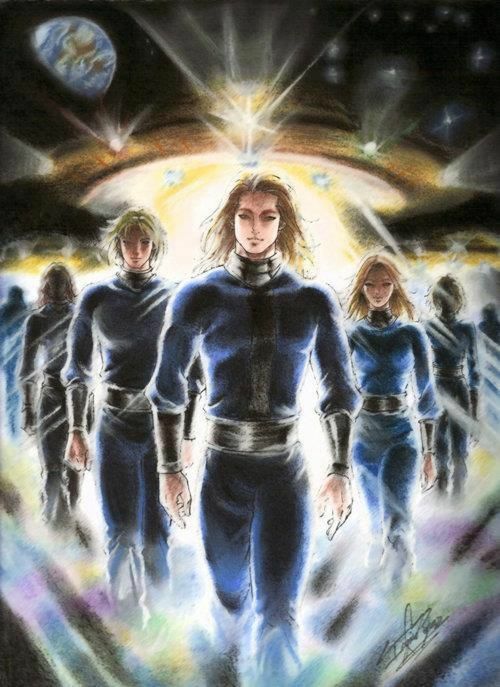 I remember very specifically what he looked like, and when you included the image of Pleiadians in last week's newsletter I was astounded and overcome with emotion as the image was an incredible representation of what Evan looks like. Camille has similar features as well. What exactly are we witnessing with the Mandela Effect? Are we able to witness differences between timelines through the Mandela Effect in our current place and time, and, how does the Mandela effect impact us in our current lives? Thank you for all you have shared and continue to do for us, Tom. You are truly an inspiration to those of us who knew there was a missing piece. I thought you might be interested in knowing how my meditation went this morning. 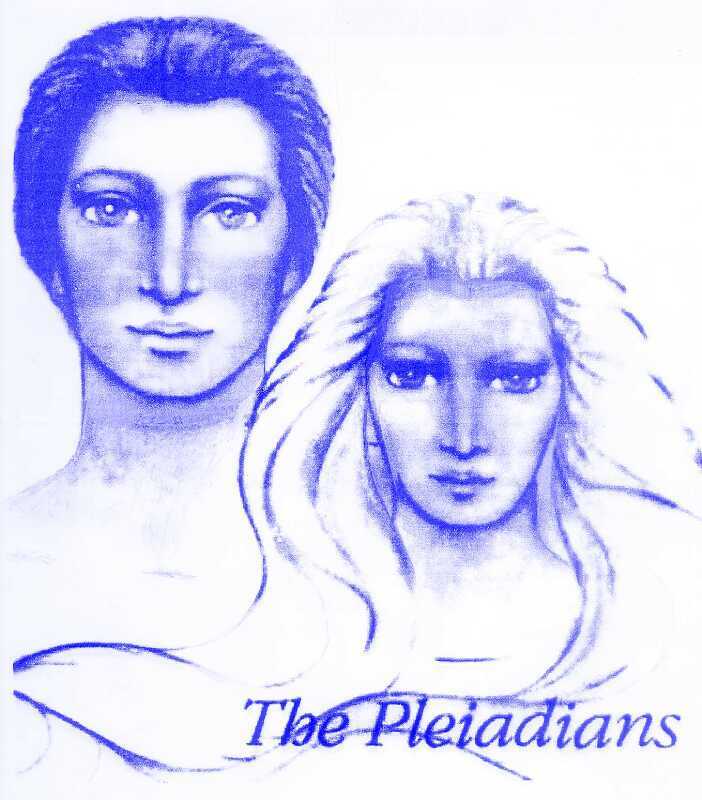 I asked Evan to tell me honestly, and he did confirm that he and Camille are indeed Pleiadians. He had to have "permission to confirm" to me that I am also originally from the Pleiades, but the answer was yes. Finding out this information is one of the most fascinating things to happen to me in this life so far. Thank you again for your guidance, and most benevolent wishes to you and yours. You’ll see I continued this discussion with Antura below, asking a similar questions about his other contacts and those of his two team members. I had covered the Mandela Effect just a little in my 6/18/16 newsletter. 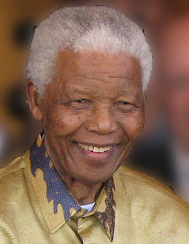 Its name is derived from the large number of people who recall Nelson Mandela dying in prison. There are many other instances of things not seemingly the same as before. Here is a link to some of those: Click here. 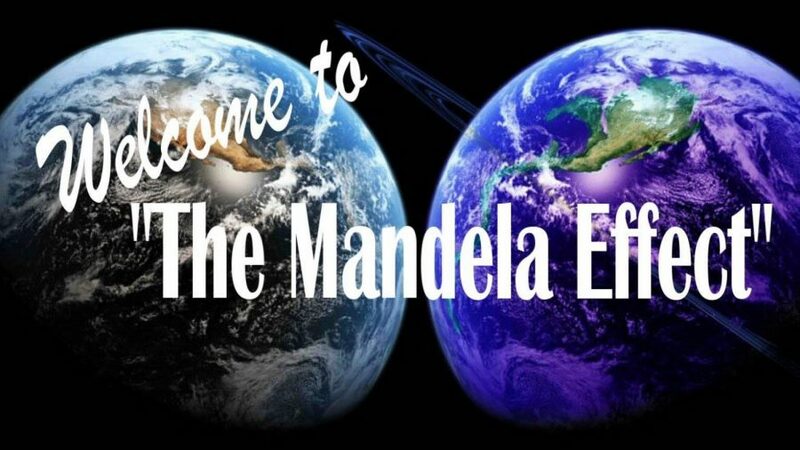 Gaia, we have discussed the Mandela Effect just a little in the past and you said it was because of moving into the fifth focus, but that seems on the surface to be a spoon-fed answer. So, I would like to know if this was because we intersected perhaps a lower time line, or would this have to do with probabilities, or was it as you said because we went into the fifth focus? Yes, as you surmised Tom, it is more complicated. You did intersect a lower time line—yes, lower than time line 5 for just a few months. It was to give those people on that time line a higher level to shoot for, you could say. Did I previously form an opinion, as I want to get this correct? Yes, you are receiving me correctly, Tom. It’s the same, but in reverse, you could say, when you intersected the upper time line, when and where the Knights of the Round Table existed. Are these planned events by our souls? Quite so. They would not allow all these frequencies to wildly swing back and forth. Their reasons for doing so are much more complex than I can explain to you and your readers at this time. But if, as an example, Nelson Mandela died when we were intersected, how did ne not stay dead when we parted? Because he was still alive on your time line and for that short period of time you were blocked from seeing that there were two realities. What would be some other differences –major ones that we are not aware of in our past? There are many, Tom, that would be difficult for you to receive, and probably no one would believe. So, this has nothing to do with probabilities? Oh yes, probabilities are mixed in here as those probabilities have a life of their own. You see, your souls wish to explore all these possible probabilities and they may extend for some time, or they just fade away. 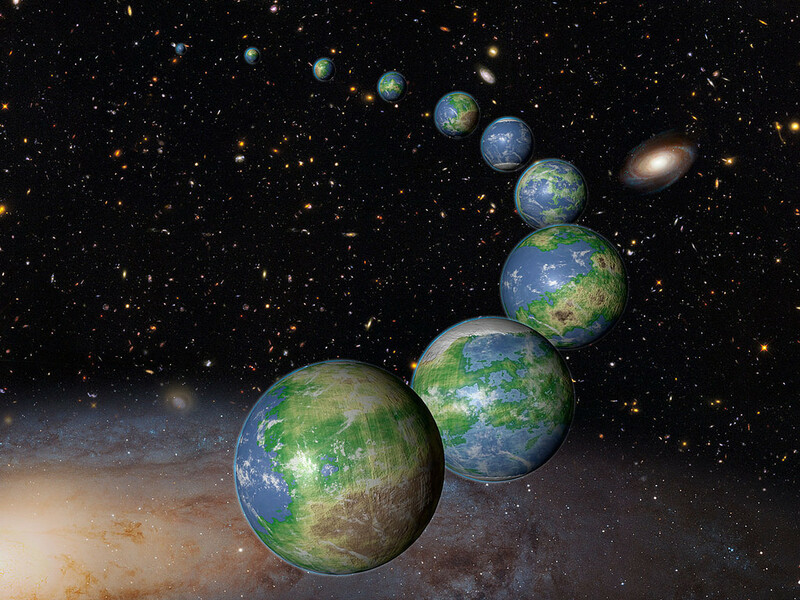 You are in a far more complicated world than even your most knowledgeable scientists can imagine at this time. For those who believe this is controlled like a matrix, what is your response? Those people with that belief, Tom, would much rather believe there are people or ETs involved rather than souls. That is not the case. Gaia, Nelson Mandela was released from prison in 1990, therefore how far back in the 80s did we intersect the other time line, which may I confirm was Time Line 4? And did Time Line 5 intersect with Time Line 3? Yes, Tom, use the year 1985 for the intersection, and yes, Time Line 5 intersected with Time Line 3 while your Time Line 6 intersected with Time Line 4. How long did this intersection last? A few months, but not quite a year. That was deemed sufficient to uplift those on that time line, so they could get an idea of what could be. That’s quite a long time in a way isn’t it, Gaia? So, are you saying it was 11 months or a little shorter than that? A little shorter, Tom—closer to 9.5 months is quite close to the total time you intersected. 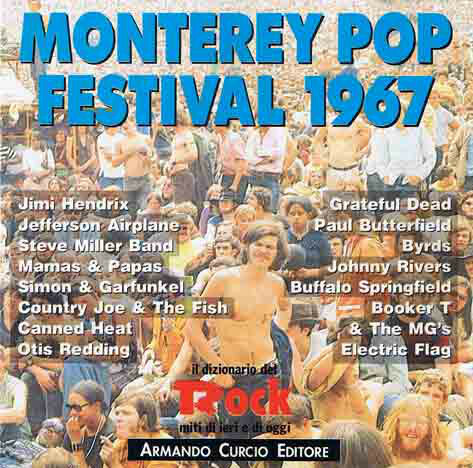 Was there any other time that we intersected with them, such as the 1960s or 70s? Yes, but you also must keep in mind, Tom, that you also intersected with Time Line 7 back towards the end of the 60s. 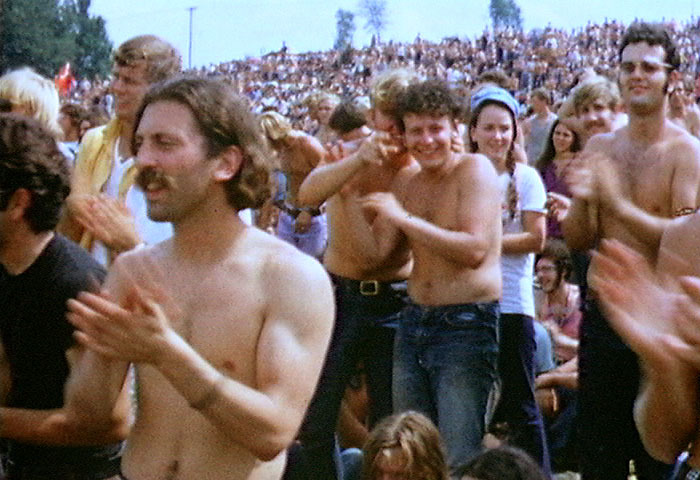 There were reasons why that “Summer of Love” and 1969 were where peace and love were emphasized. They were like springboards for your development. When you say probabilities may extend for some time or fade away, are these non-physical time lines? These descriptions will one day cause your scientists to delve further into the concept of Time Lines and probabilities. This is good work you are doing, and certainly I can respond to more questions on this subject. For my new readers, did you know there really was a star wars about one million earth years ago (universal years are 1/10th as fast as earth years)? I called it the “original star wars” in my book, FIRST CONTACT: Conversations with an ET, but I recently learned from my soul “cluster” brother, Antura, that they call it “The Great War.” I also more descriptively call it the “Reptilian War,” as this space war lasted for thousands of years when the Reptilians from another galaxy decided to take over some planets for their resources. Both sides blew up whole planets and suns. But now there is peace. Antura, as you might have guessed, is an ET, from Nommo in the Sirius B Star System, and he’s on a huge three-miles-wide and twenty-stories-high mothership conducting millions of readings. If you wish to read some more about our ET “uncles and aunts,” here is a link to a couple of sample chapters. Click here. Below are additional questions I asked this past week. Antura, do either, or both of your other contacts, or those of your two comrades, think you or they are angels? Yes, Tom. That’s the simple answer to a complex question. We have had to work within the belief systems of those we are in contact with. How will they find out the truth? 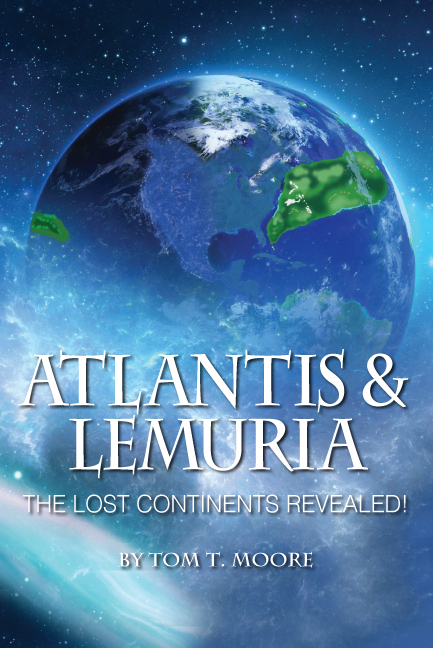 It will be gently revealed after the Pleiadians, and even you, come. Worldwide interest will dramatically increase, and they will question who they have been in contact with. Please understand that is not the case for every one of our contacts, but certainly the majority. 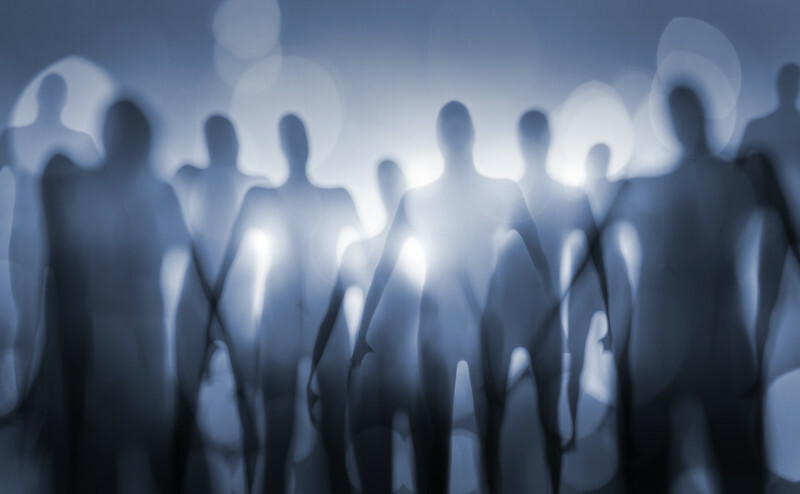 It is much easier for people to believe they are communicating with angelic beings or perhaps a Shaman, than ETs. 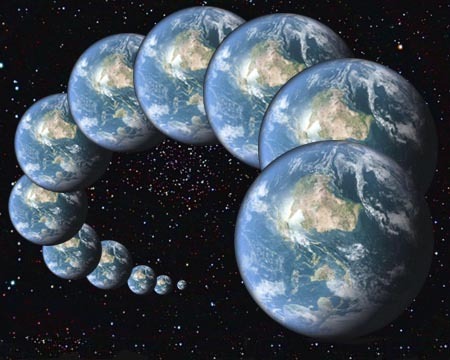 The Pleiadians have yet to publically visit the Russians on Time Line 11, is that correct? Yes, but that will occur within days, Tom. Again, there was resistance from our Federation friends who wished to move slowly even for the first time line. It will speed up after they see how people will positively react—the vast majority of people. Those people will demand to know more and more. 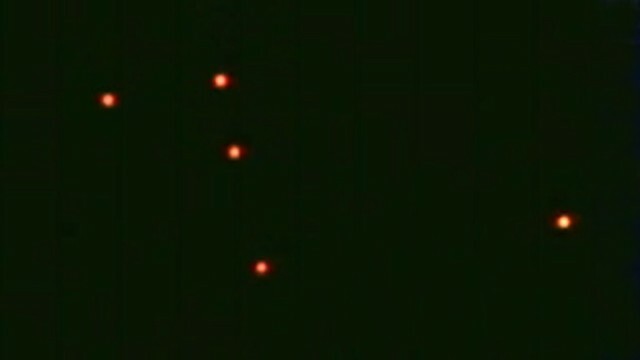 A few months ago, I woke up thirsty around 2 am, got up to get a drink of water, and noticed a weird red light in the middle of my bedroom. Hard to explain, but it looked like a couple of thin red lines about five or six inches in length hovering horizontally a few inches above the floor. At first glance, I thought my husband had plugged a space heater in and that the glow was coming from that, but I knew he hadn't. As I reached the bedroom door, I glanced back, and the "light" was still there in the very same spot. As far as I could tell, it did not seem to be emanating from any particular source, nor was it a reflection on the wall or the floor. I was mulling it over as I went downstairs for a drink and decided that when I got back, I'd take a closer look. I was gone less than five minutes, but when I returned, it was gone. I know I wasn't imagining things, but I cannot figure out what it was that I might have seen. 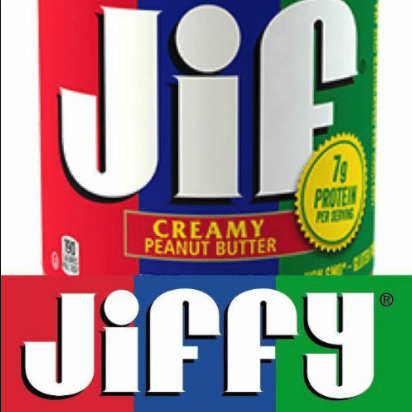 Could it have merely been the product of a half-asleep brain, or was it something else? Would you be able to please ask your guides what this may have been, as I am truly perplexed? Thank you so much! Antura, were the two red lines Dee saw in the room ET or were they something else such as hypnogogic hallucinations? They were more the former, Tom, as she was glimpsing just the edge of a presence there. Nothing to be alarmed at, as they were taking readings of her. They’re from her planet. They were quite surprised she noticed their presence and vowed to be more careful next time. Antura, was the UFO I saw a video of entering a portal CGI or real? Not real, Tom. It was a nice creation, but we do not have to slowly enter a portal as was demonstrated in this person’s creation. You have seen many other videos where a ship simply disappears. This can be either that they just changed frequency, or that they entered a portal. But good work on the person who tried to express what he had seen in a past life. Antura, were the lights in the sky Linda saw ET ships, and if so were they piloted or drones? Definitely ET, Tom, and as you surmised, very advanced type drones taking thousands of readings. The area they were covering is fairly densely populated, so drones can be quite useful as compared to the capabilities of just one scout craft. My wife, Dena, and I agreed to take our granddaughter Brynna (2.5 years old) to a private swim class, while our daughter was doing a photography shoot in McKinney, Texas, and her husband had an exam for his doctorate. Then, afterwards to take her to her daycare. They have a pool in their yard, and group swim lessons had not been successful. I was glad I had printed out the directions as my phone GPS kept saying there was no connection. I already knew the directions for 90% of the trip, so off we went. We found the street to turn on from the main road, then the street for the swim lesson. Shannon had said the house was at a turn in the road, so we parked and were not sure which house, as it did not have a number. The home owner came out and directed us around the side to the back and through the gate, arriving five minutes early! Both Brynna and I got in the pool with her instructor, Carla, and had a great time. Brynna was smiling and having fun and putting her head in the water as she went from Carla to me (3 or 4 feet). Then Carla had her float on her back, then go to the side of the pool, and then to the steps. This was only her third lesson, and Carla said she was really improving. After the swim lesson, Dena changed Brynna and I went and changed out of my swim suit. Off we drove to the daycare, and on the fifteen or twenty minute drive encountered only one red light. She cried when we dropped her off, but we had expected that. We get to repeat this again this week! Larry writes: I have a TV hanging from the ceiling in my bedroom. I acquired an updated TV and went to change it out. When I tried to reuse the screws from the first TV, I found they didn't fit, so I went scrambling trying to find the right screws. It was late Sunday night, and the hardware store was already closed, so I started looking through the assorted screws that I have. After 15 frustrating minutes, I was ready to put the old TV back and wait to get new screws the next day. Then I decided to request an MBO where I found the right screws. The next drawer I checked contained 3 of the perfect screws that I needed! I was able to put the new TV up and I enjoyed watching it last night before going to sleep. I was frustrated and about to give up the search until I remembered to ask for an MBO! I’ve been saying MBOs ever since I discovered your site about 2011 or so. I’m sure I’ve asked for an astronomical amount of MBOs over the years. It made me wonder if I’m overdoing it. Am I being lazy and expecting others to come through for me. Do the angels ever feel that “enough is enough”? Can we continuously and endlessly ask for small things as well as tremendously large and important things and have our prayers answered by Spiritual Beings? Thank you for your answer, Tom. Theo says there is no limit to the number of times you can request MBOs. In the past 20 years I’ve probably requested 20,000 MBOs—I have no idea, because I don’t record them. 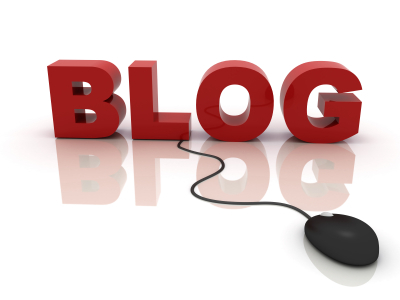 As I have said before, requesting MBOs keeps you on your soul contract—tremendously important! And Theo says that it slowly but surely raises your vibrational level—what some people call “ascension”—even more important! Don’t forget that your MBO requests have to be in the best interests of EVERYONE affected by the MBO request. An example I’ve used in the past is that a soldier cannot request an MBO to kill his “enemy” before he is killed, but he can request an MBO to return safely from a patrol, or to drive from one place to another. Then his opponent will conveniently be somewhere else when he passes by. In conclusion, Theo says there is no more simple, yet powerful way to raise your vibrational level and stay on your soul contract—the path you decided to take before you were born. It is 100 times better than the Law of Attraction. Ray writes: FUTURE LIVES THAT ARE PAST LIVES!!! The first and only time I was made aware of individuals having lives in the future before their current ones was in your (Tom's) Gentle Way newsletter. For example, film directors Stanley Kubrick and Ridley Scott both having lives in the future before these ones. I hadn’t heard that future lives can be past lives from any other metaphysical writer or from any professional past life regression hypnotists. So, are future lives that have already been lived blocked from coming up in past life regressions that regular hypnotists perform? Or do they appear, but many hypnotists are confused as to when that future life occurred, so they are not as widely reported? Theo, are future lives that are past lives blocked from past life regressions, or because of beliefs, or just not that often? Keep in mind, Tom, that past life regressions quite often are done because a person is experiencing some problem and they are seeking an understanding or even to overcome that problem. Therefore, rarely will the cause of that problem be a future life. 99% of the time it would be a life in the past, not future. Then yes, most past life hypnotists do not understand that someone could have a life in the future and come back for another life. They think only vertically. So, even if their subject relives a life in the future, they may not even recognize it as such. Raymond in Arlington, Texas, writes: What will horror movies and sci-fi movies focus on in a hundred or two hundred years from now? Theo, in 200 years will there still be horror and sci-fi movies, and if so the subject matter? Methods of enjoyment will dramatically change in the next 200 years as entertainment becomes more immersive. You can already see that today, just a little, but it will continue to evolve. Therefore, the movies of tomorrow will feel as if you and your friends are there as part of the action. Horror will tend to fade away as people become more gentle, but science fiction will continue to be spectacular. People will be gentler, as we said, much less violent. This time period will be looked upon as a time of conflict, not so much to be revisited. Michael writes: RE: James Earl Jones' Legendary Voice. Everyone will know the great actor James Earl Jones from his voice work. Most notably, he is the voice of Darth Vader from Star Wars, and also Mufasa (Simba's dad) in the Lion King. Why was he given in this life one of the most magnificent and beautiful voices? Theo, why was it James Earl Jones’ soul contract to have such a magnificent voice in this life? Yes, it was his soul contract to have a body with that voice, since this is a significant life for him. Everyone is given some special ability—it may be that they are great at some special field of activity. He has a soul interest of acting and the artistry associated with that activity. Some are comedic artists, some are Shakespearean in nature—drama. They all try to explore everything within their soul interest. As this is a special, significant life for him, he was given this ability, along with the fact that he is black and so crossed racial boundaries, and is loved and admired by people of all races. Graham writes: Did we choose who our heroes would be in this life as part of soul contracts to inspire us? Or are our heroes purely freedom of choice? Theo, explain the soul contracts of those we choose to be heroes in our lives. It is all part of soul contracts, Tom. 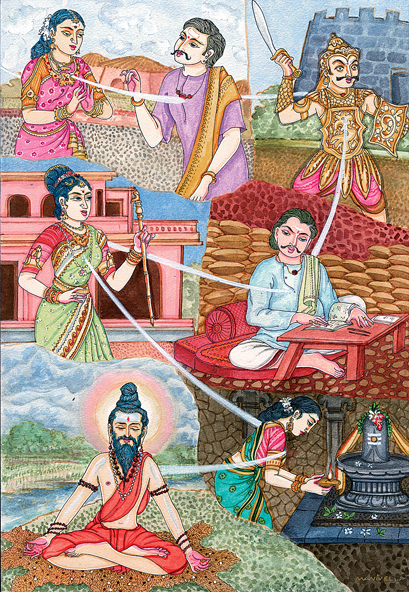 In many cases – the majority, shall we say—these people are balancing actions in past lives. But from an overall view, there is a need for people to see that there is kindness and sacrifice. It makes you feel that there is hope for humanity when we see these acts. It makes you feel like you could be a hero in some way in the future. Diane writes: A long time ago Ruth Montgomery wrote a book about Walk-Ins - does this still happen? 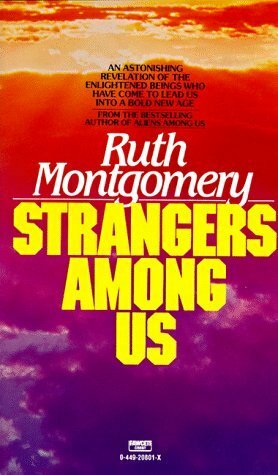 Diane is talking about Ruth Montgomery’s STRANGERS AMONG US. Back in 1979, I had the pleasure of getting to know Ruth when I conducted two “Psychic Seminars” on the same weekend—first in Dallas, and then in Houston the next day. Besides Ruth, Brad Steiger and his then-wife Francie, along with Dr. Edith Fiore, gave presentations. For some reason, I never again felt the need to have more, even though both were quite successful. Gaia, would a soul, having one of its fragments having a life on earth, substitute another soul fragment (what we call a Walk-in) to use a special gift? Most of the time, Tom, the soul fragment’s soul contract covers that life aspect. We have covered Walk-ins before, and these are normally done because the soul fragment does not have the tools to cope with certain situations and the soul does not wish the fragment to be subjected to more of a situation it is not capable of handling. Why would one of its other fragments be more capable? It would seem that although there are differences, they would not be so great. Au contraire, Tom. There can be great differences, as a soul fragment might have had to handle that problem in several lives, while this is the first time for the other soul fragment. So, it inserts the other fragment and another life is set up for further learning, so that the fragment learns how to handle that problem. There are or can be great differences as we have noted in the frequencies of the soul fragments and their interests and abilities—again to obtain the greatest learning and experiences for the soul. 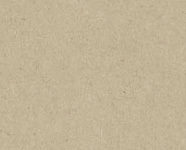 Would a soul insert, let’s say, a larger fragment of itself for a significant life—good or bad—or are all of its fragments the same size, or is this an impossible question to answer because I’m asking it to be described three-dimensionally? Yes, you are much closer to the answer there, Tom. All of a soul’s fragments are capable of having significant lives, and when your questioner mentioned someone such as Hitler, his soul fragment was really no larger than his brothers and sisters, you could say, for an analogy. So, using Hitler as an example, how many soul fragments were or are there in that soul’s cluster? Yes, it would be on the lower end of the averages as you guessed, Tom—more on the order of six. But whether a soul fragment is part of a cluster of 6, 8, or 12 fragments, there is little difference. It may seem on the surface that a soul fragment would need to be larger to handle a significant life, but it is more on the order of vibrational levels the soul chooses for each fragment, so that each has its own interests and is not a duplicate of the other fragments in the cluster. Here is my latest question. 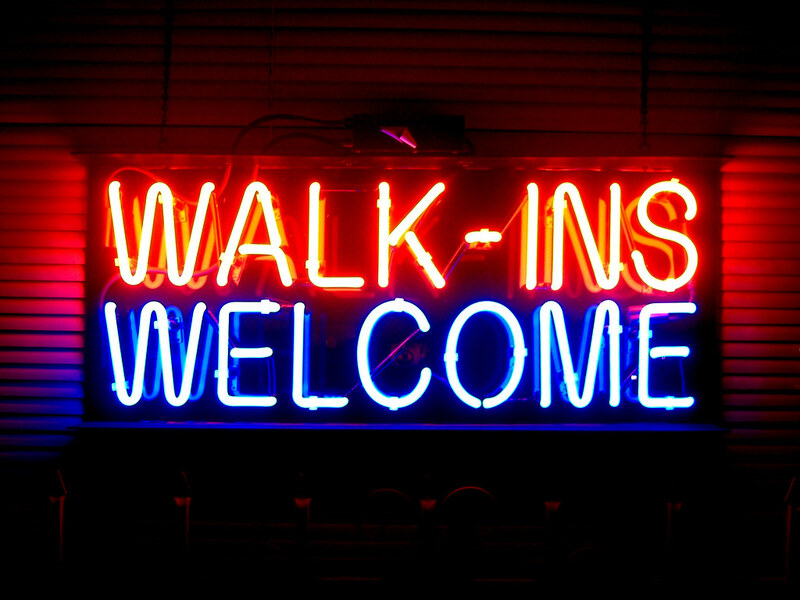 Gaia, are “Walk-ins” still common these days, as we have heard little about these recently? Not so common, but yes, there are still walk-ins, Tom. This was quite prevalent at the time when you were getting close to the Harmonic Convergence and your souls were assisting you in getting over the hump, so to speak. It was quite noticeable to those people—family and friends—who interacted with the person. Suddenly, they seemed like a different person—different personality--and they were. This has been discussed in detail in such books, as by Ruth Montgomery—just a little explanation for your new readers. But these days things are more settled, you could say. So yes, to answer the question, walk-ins still occur, but not in the numbers that occurred in the 70s and 80s. Good question by your reader.